This is a sponsored post from KidStuffPR all opinions are 100% my own. Last holiday season we wrote about a great Toy and Book store that sells quality kids toys. I love giving gifts that not only are fun for the kids, but have some hidden educaitonal value that they don’t even realize is happening. So many birthday presents and Christmas gifts are used once and then collect dust on the shelves. Next time you are looking for quality kids toys be sure and check out the toy store chain Brilliant Sky Toys & Books. Their brick and mortar stores contain 10,000 high quality kids products that overflowed the shelves of their 17 locations and they pick a few favorites each year and stamp them with Brilliance Awards. This year’s 2014 award list features 10 products that are surprisingly low tech. For the fifth year in a row, parents and grandparents alike can use this brilliant list as a guide for holiday shopping, birthday presents and Thanksgiving homecoming gifts. 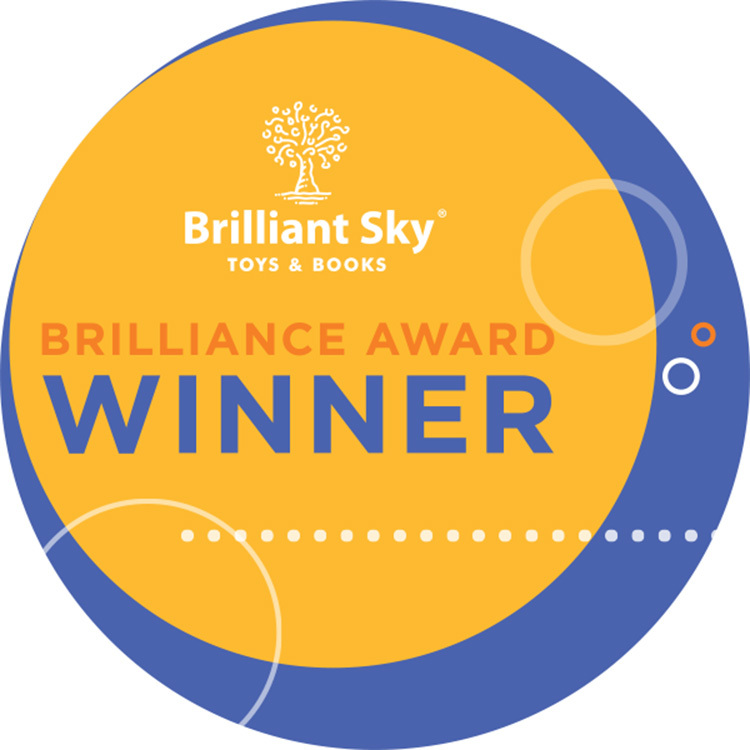 The Brilliant Sky chain chooses its Brilliance Award Winners upon quality, the value of open-ended play and the simple beauty of a child’s fascination and delight. With the huge variety of toy buying occasions coming up, there’s truly something for everyone represented in this great group of toys. From finger puppets, arts & crafts kits, dolls and building bricks, it’s evident that childhood playtime really hasn’t changed that much! Find a complete listing of all 17 specialty stores across the country from Tennessee and Iowa to Texas and North Carolina at their website, www.BrilliantSkyToys.com. I have not been to one but seeing their press release of their top toys each year wish there was a toy store near us. This year I picked a few items I plan on giving away for Christmas this year. 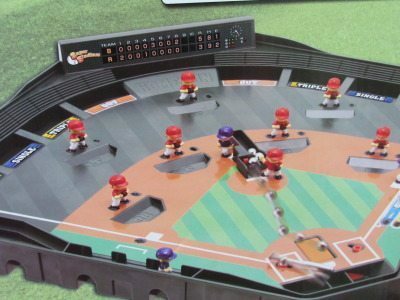 The super Stadium Baseball game. Kids can create a realistic ball park where you get to strike out your opponent with fast balls and curve balls. Throw a variety of breaking balls at different speeds. Your opponent won’t be able to predict the pitch you will throw! A unique magnetized infield creates ball movement when the pitches are thrown. There is a spring-loaded bat, counter for balls, strikes and outs. Hit singles, doubles, triples, foul balls and home runs! Choose to bat right or left-handed. Strategically position fielders. This is a great gift for any sports fan. Keep that tween off her technology and get her weaving gifts for the family and friends. 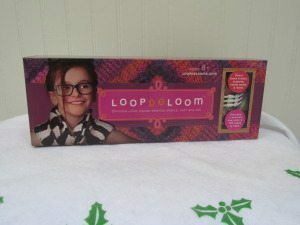 Loopdeloom is the new sister of the popular Loopdedoo. Simply stated, it’s an ingenious new loom design with spinning pegs to make weaving effortless. Say goodbye to traditional looms as LoopDeLoom puts a new spin on weaving. Make purses, cuff bracelets, headbands, cell phone and tablet cases, potholders and more. Move up to making clothing and decorator items like scarves, wraps, pillow covers and throws. Weave items any length, and up to 7”wide using one loom. 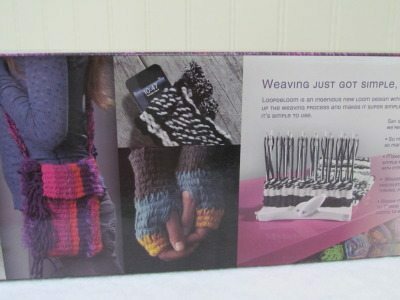 Kit includes spinning peg loom, 120 yards of yarn and detailed instructions. 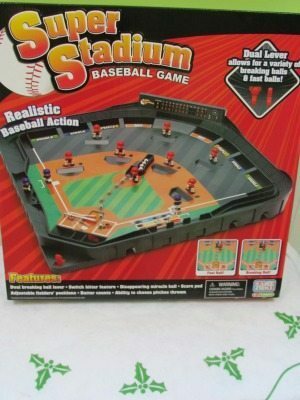 the Super Stadium Baseball Game for my nephew. I think I would pick the Illustrated books for my niece because I think it would be fun to read them with her. I’d like the LoopDeLoom for my 12 yoa step-daughter. Thanks. I would get the Loop de Loom for my daughter or the Super Stadium for my son. Hard choice! I’d like the Squigz Starter Set for son. I might pick the Illustrated Adventure Stories and Illustrated Fairy Tales. My daughter loves to read. Paint Your Own Porcelain Bowls for my 8year old granddauther. I’d choose the Paint Your Own Porcelain Bowls set for my friend’s daughter…it would be such fun for the whole family to do together! I’d choose the Lottie Dolls for my daughter! I would pick the squigz starter set for my 2 1/2 year old! I would probably pick the Super Stadium Baseball game for my son. I would choose the Loopdeloom for my daughter because she has been begging to learn how to knit! I would choose either doodle quest or plus plus basic for my son. Hard to choose from so many great toys! y oldest would love the loop de loom. I would pick the Loop de Loom for my niece!